I have a quick post with only 1 card today. The challenge at PTI Make it Monday #316 is Stenciled Edges. I decided to remake one of my cards with this technique, and also submit it for the Transformation Tuesday challenge. I changed the colors and the orientation of the card. Also, by sponging and stenciling the edges, I have almost no white space in my new card. I actually like both cards, and it is fun to see something so different emerge from basically the same supplies. 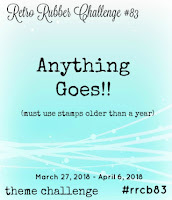 I am also entering this card at Retro Rubber #83: Anything Goes. 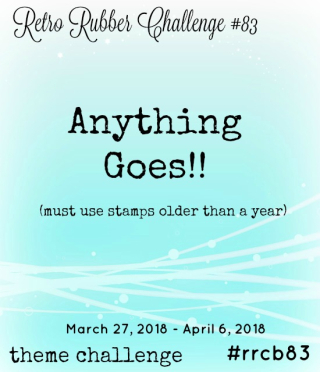 My stamps and dies are from December 2016. 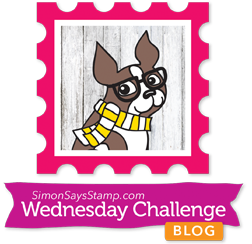 I am also entering this card at Simon Says Wednesday Anything Goes. I'm always amazed at how using different colours can change the look, and the feel, of a card made with the same supplies. Both yours are beautiful. The stencilled edge is very effective - great technique. Thanks for sharing your beauty with us at Retro Rubber Challenge. Both are awesome and so right, such a different look from the same supplies. I love the stencilled edge. Your purple version is wonderful, Joyce! I like it a wee bit more, but the original sure is pretty, too! I love both your cards!! The purple version is so pretty but i like your original too!! GREAT cards!! Both cards are lovely Joyce! 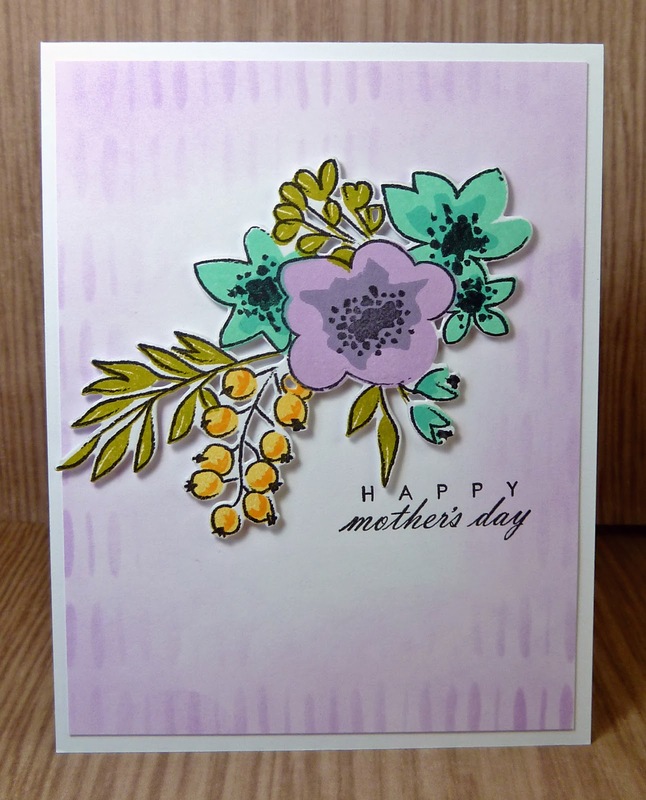 I love the color palette and the stenciled edges of the first card and I also am loving the scored edges on the second card. Was that scored or is it an embossing folder? Love it!!! 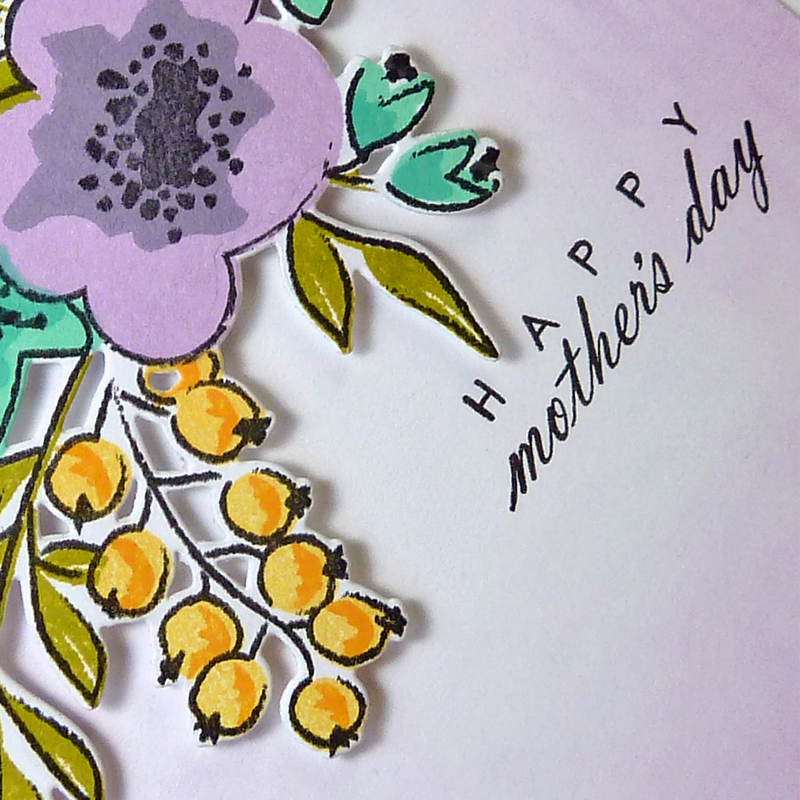 What a great idea to take a pretty card and change it to something even better! I love the stencil because it totally draws you into the beautiful focal image. Thank you so much for playing with the challenge at Retro Rubber and hope you will join us again soon! So PRETTY Joyce! Love the original and the new version! Amazing how much the colors change the look, especially with the stenciled edges adding more color. Love them both though! 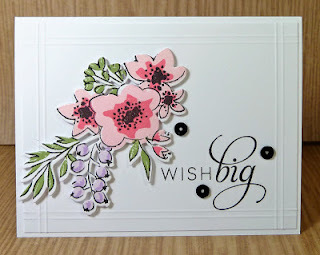 This card is so pretty that I want to go immediately to my craft counter and recreate it! Good design choices, Joyce! Both creations are beautiful. It is fun to see how color can make such a difference in the feel of a card. Love this card! 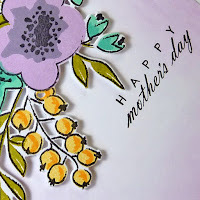 It is perfect and soft for Mother's day, wonderful remake with the same set. Thanks for joining us at Retro Rubber for AG! Just beautiful!! Both are so pretty, the old one and the new one! The details on the flowers are stunning! Thanks for sharing this with us at Retro Rubber!